He is sovereign, which means possessing supreme or ultimate power. He is worthy of our adoration, our worship, and our lives. But before all of these, he’s also worthy of our hearts. Yesterday, we considered our response to King Jesus in light of the Apostle John’s reaction to him. He literally fell at Jesus’ feet “as though dead.” But what happened next? 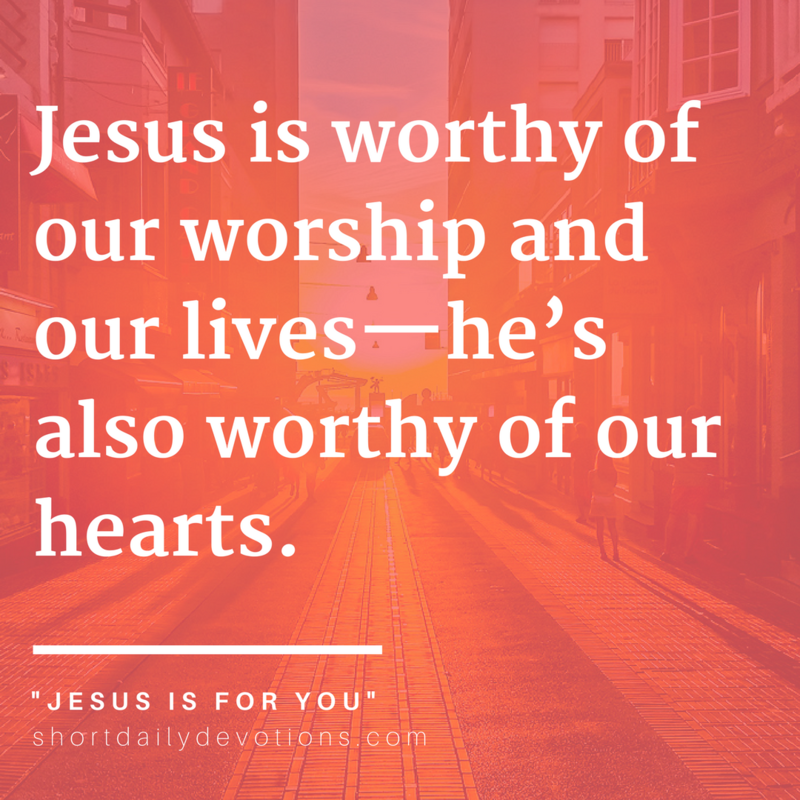 Jesus displayed his heart toward his worshipper. The King’s heart is for us. It is not hardened by power, but compassionate. His work on the earth has brought salvation to us by grace through faith (Ephesians 2:8). And his reign extends that grace! He still reaches down to pull us up, still places his mighty hand upon our shoulders, in love. Be moved today to worship a God who loves you!